Animator Egoraptor, known for his video game parodies, is pretty much concerned with all things awesome–so much so that he has a whole animated webseries about the intersection of games and awesomeness. You may remember Awesome the Hedgehog from 2006. 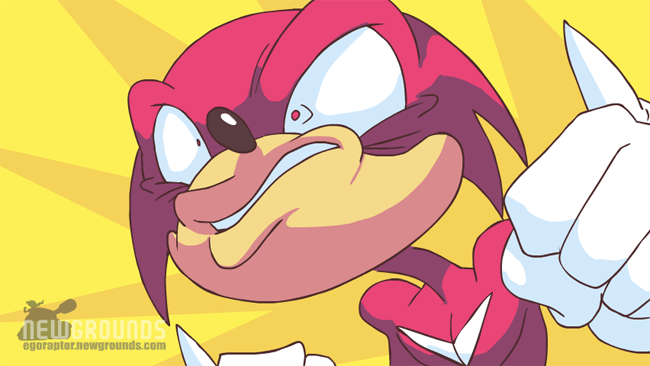 Nearly five years later, Egoraptor has teamed up with voice actor Joshua Tomar to come back with Awesome Chaotix. It’s a definite step up in terms of animation from the last time you may have checked him out (not to mention it’s still pretty great), so you should take a look.